This is an archived version of Clostridium difficile COPASI computational model released on May 7th, 2012. The model is available for download in CellDesigner xml format. We have tested that the model is compatible with Cell Designer 4.1. 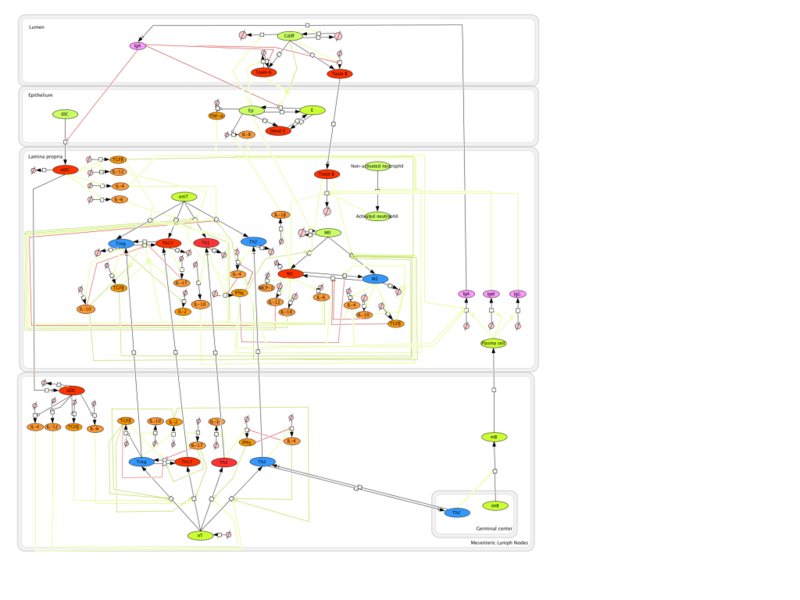 The following is the structure figure of the model, and by clicking on the figure you can navigate the model through a Google-Map-API-enabled CellPublisher user friendly interface. 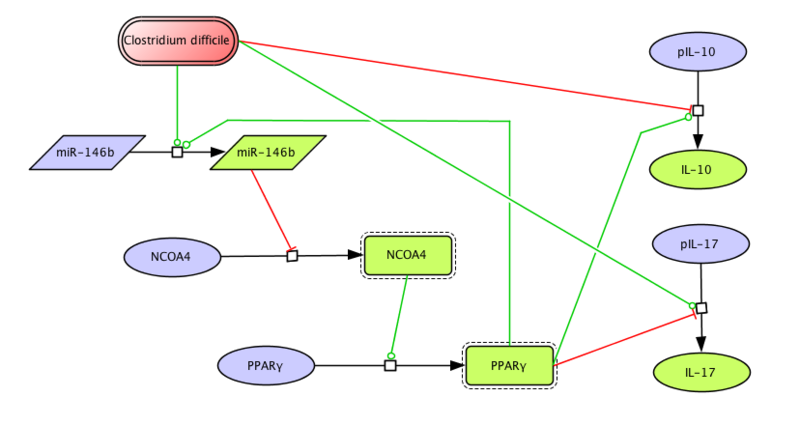 This is an archived version of Clostridium difficile PPAR γ and miRNA-146b model released on July 7th, 2012. The model is available for download in CellDesigner xml format and COPASI cps format. We have tested that the model is compatible with Cell Designer 4.1. 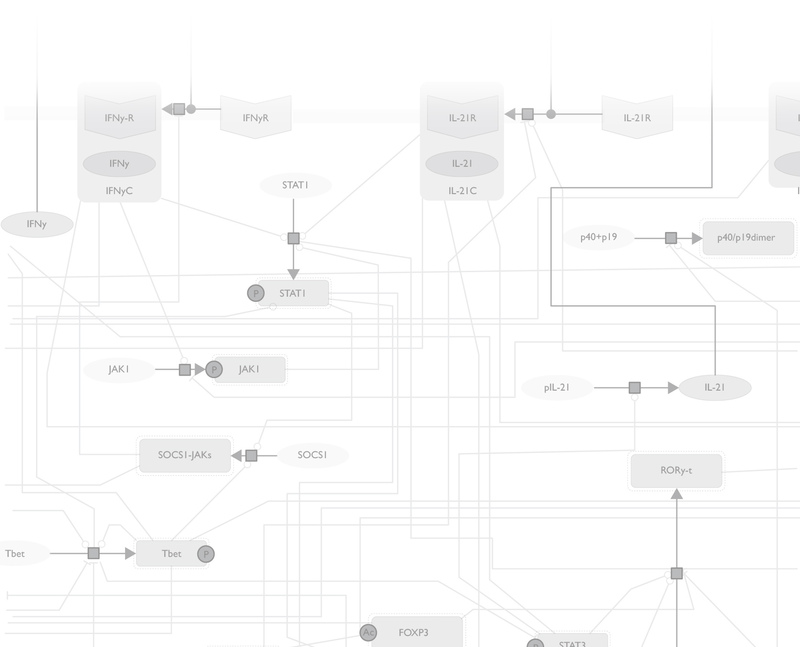 The following is the structure figure of the model, and by clicking on the figure you can navigate the model through a Google-Map-API-enabled CellPublisher user friendly interface.